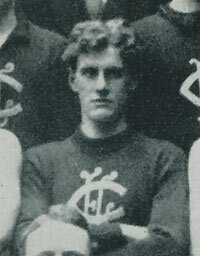 Shortill played 35 games for Carlton after first running out in Navy Blue in Season 1915, kicking 25 goals. Shortill played 6 games for Fitzroy in 1919, he also booted 3 goals in his solitary season with the Lions. Shortill was born in Kyneton, and recruited from Ballarat. He also played with the Public Service Team and St Pat's Ballarat. Contributors to this page: Bombasheldon , molsey , tmd1 , p(12)terg , Jarusa and admin . Page last modified on Friday 31 of May, 2013 21:31:30 AEST by Bombasheldon. 1989 - Tony Shaw; Hunter's great career ends (16/08/89).